Now Facebook video creators could earn from ads, but WhatsApp does not provide to users such as direct income opportunity for sharing any creative work or status with people. Nevertheless, you can implement some simple procedures if you want to make money from WhatsApp. The only requirement is having a huge contacts list in your WhatsApp. People are interested in earning money without any investment and social platforms are the ways to achieve that goal. Sending short URL of the useful article, providing paid jobs to skilled people are the easiest way to earn cash from WhatsApp indirectly. 1. Suppose your friends are interested in reading articles online or browsing the best statuses website. What you can do is: just find such websites and short the links using URL shortener. I have also described the step-by-step guide about the same in this article. 2. Another is quite different but long-lasting. Over the internet, there are many paid online jobs available. Some of those are typing at home, pdf to MS word writing etc. Many companies provide surveys to get paid. The thing to do is: you have to take the works for you from those websites and post the works in a WhatsApp group. If someone is skilled, he/she will do that for you and you pay them directly from the amount you get paid from the companies for that work. Normally, the rate you receive is between $2-$10 per page. You decide how much you would keep and how much you would give to the people worked for it. But, that's not the end. More simple steps are described here in this article to reach the goal to make $20-$100 per day. It depends on your effort. As much as time you spend on WhatsApp in working with these steps, you will earn accordingly. WhatsApp is a very popular social app nowadays and if you can take advantage of it for your commercial goals then you can easily make huge earnings sitting at home. In this article, I am going to share 100% proven strategies which will surely help you to make a decent amount of income using WhatsApp. WhatsApp has many ways to earn money but to know the theory behind this, is quite long-tailed. But to make it super easy I am sharing some fields of it's earning. Registration and Yearly Fees (in some countries still free). User interest tracking and show targeted advertising on Facebook. The most basic source is yearly fees. But as this company is undertaken by Facebook, this WhatsApp is now a part of Facebook. And the total income of Facebook is calculated not only the WhatsApp. But, in one line, the main source of income is yearly fees which you have to pay for yearly basis. In a sentence, you just need an account in WhatsApp. Then, you can start some few methods to get your job done. Here I am now going to tell the master technique of affiliate marketing that was never revealed before. With this, you will also know other alternative ways to make money with Whatsapp. If you have skills like web design and app development then it is a great chance to earn money from WhatsApp. You can make a good amount of bucks by sharing your skills via WhatsApp messages in a picture. These skills are examples but not limited to, there are many types of skills which are very demanding in the market or local area. *Follow This: Just make a business card for your services and send that image to all of your contacts in Whatsapp via messages. So that, when people need those service they can contact you easily. This works great when residents know that you are the best for that job. There is a higher chance if they need any, you are going to get that contract. So, if you have such skills you should take advantage of WhatsApp. Just do the job for them and get paid. Do you think that you must need a lot of relatives and friends in your contact-list to do Affiliate Marketing in Whatsapp? Even it is the most recommended method to make money with WhatsApp. If you have 600-1000 people in your contacts then you can do this Affiliate Marketing easily. In this way, you can make 4 sales per day just working 2 hours daily. Also, you can work more to make more sales. Your every sale takes about 30 minutes. It is a very useful method that you can use for a long time and this technique provides a better result over time making you an expert in this system if you stay with it. Just you need some courage. This time you will need the help of your Facebook a/c. Just make some friends there, ask their contact numbers & add them in WhatsApp. Now, just don’t start sending links to them instantly. Have patience and talk with them and try to know them a little bit about their interest. After you talk about the product and they reply three times about that chance you got your target. Now you have to send links explaining some features of the required product. 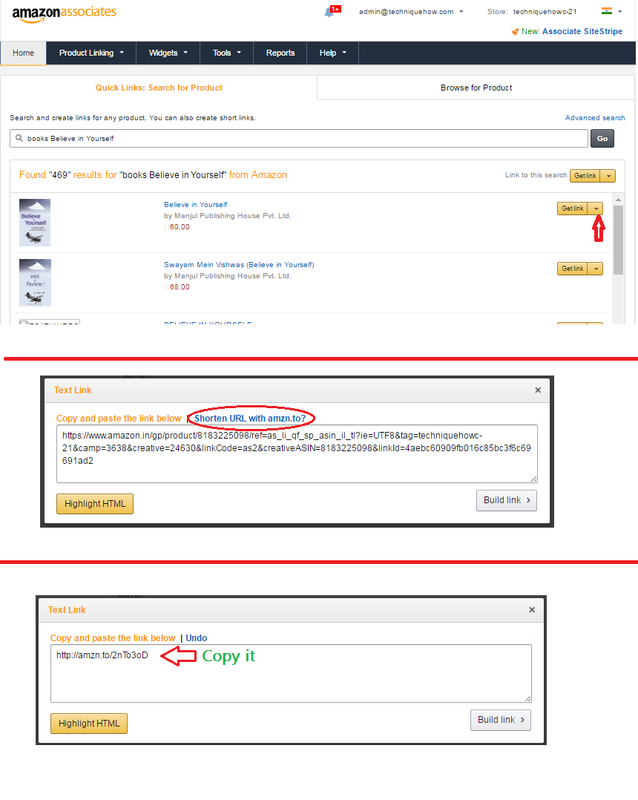 Now you have to share the affiliate links with your friends which you have generated from Amazon or any other company. But, please make short those long affiliate links using any URL shortener. You can use goo.gl or any other paid server. Because long URLs in messages look so ugly. So try to send politely not like a robot. Just repeat this process every day four times with four different people in Whatsapp and you can make some good sales per day. It is suggested to do it with multiple people so that the chances of your sales get increased. It does not matter in which country you are, I am going to share a very useful Android app that could make a significant money for you. It has 4.5 Star Rating and a lot of people earning money with it worldwide. This is a most trusted app, used by people that is why I am sharing this in this content. This app pays via PAYPAL once you reach minimum payout limit which is very easy to achieve. This app is CashPirate, offered by ayeT Studios. So, just register there and enter that code to get the instant bonus. After that, you can invite your friends in Whatsapp to install this app. Just share your code inviting them using WhatsApp and when they install you will get referral bonus and they also get INSTANT 500 coins. CashPirate has various features like app install, video ads to earn money. 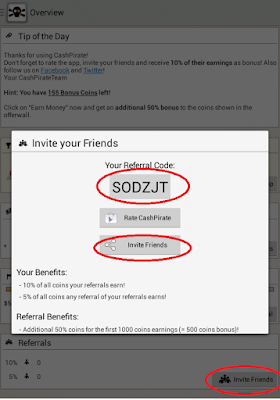 So, share your referral code with your friends in Whatsapp and start earning. When your friends click on that link they will be asked to install the app. After they enter your referral code they will get instant 500 coins as their profit and you will receive 5%-10% of their earnings for the lifetime. Did you ever hear of earning money from short links? Most of us know about this. But, if you don’t know let’s get some quick information about this. If you have a long URL, you can shorten it and send them to anyone. When they click on those links, they will first be redirected to a page where some ads will be shown to them. When they skip that page then it will go to the original link and you will get paid for showing those ads. As much as you send links to people more traffic you can generate to show ads. 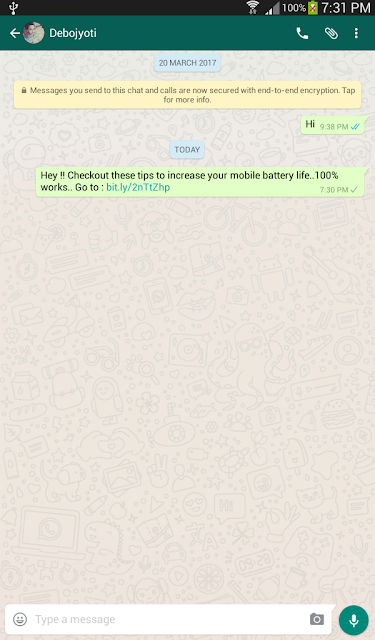 Now, let’s understand few right ways to send links via WhatsApp messages to get clicks. Tip #1: When you send affiliate links you can send those as short links. You can use any URL Shortener website that pays money per click. Tip #2: People normally get interested in health tips, diet tips, some remedy tips for diseases. At first, you should find some interesting articles on the internet then collect the URLs of those articles and make some short URL of those and send those links to friends via WhatsApp messages. Just give a little description then paste URL. (Ex. “Check out how this woman got rid of cancer” — your link here). Tip #3: This is the opportunity where you can earn from all countries. So, if you can add people from other nations also if you have made friends there. Sharing short links to USA and UK people via messages can generate more income because of high CPC (cost per click) costs. Tip #4: It is not for all but if you have a blog then there is dual chance to earn. You can also send your website links shorting them via messages. If they click on those links you not only get paid from URL shortener website but also by showing them ads on your website when they land on your website. People are more likely to be interested in those topics and When they see it might click on those links. You can use any of these websites to make it shorten the long URL and then send them to your friends by messages. When they click on your link some ads will appear on a page and after skipping that page they will see the original page. Just use it for a limited time and don’t do it all the time. Just send by reason otherwise people would not click for the second time. If you have made at least 500-600 people in WhatsApp contact list you can start paid adverts business from WhatsApp. This means you can promote or advertise someone else’s business by sending messages to people in WhatsApp. It works great in the local area. Just at first, advertise your this campaign in various website describing ‘what will you do’ and ‘how many people you have in list’ and ‘how much you will charge to promote their business’. Example: Suppose someone in your locality started a new business and he wants to expand his business fast. So if you have 1000 local people on your WhatsApp list, you can charge him some money to share his business and the services he provides, via messages to all people you have in WhatsApp contacts. It will be very useful for any new local business and most likely they will be interested in giving you the deal of advertising his business. This is very straightforward and easy method to make real money with Whatsapp. Just use these methods daily to earn cash online with WhatsApp. If you have downloaded WhatsApp, you should take advantage of it, and if you have some skills then it may be a full-time source of income when you have lots of contacts in your phonebook list.